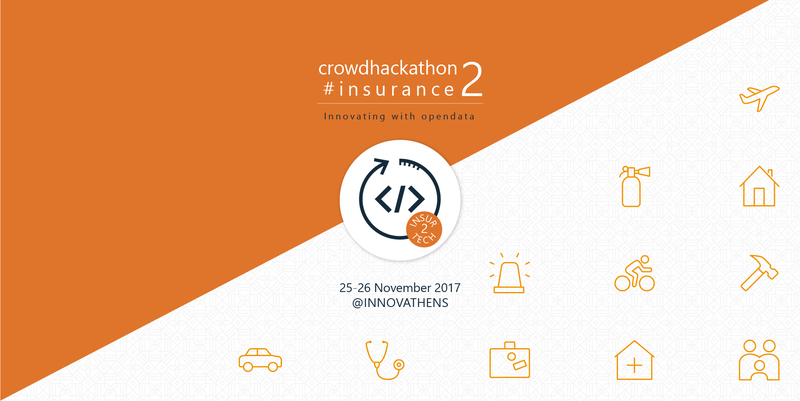 On 25 and 26 November 2017, the second two-day Innovation Marathon Crowdhackathon#insurance 2.0 (http://crowdhackathon.com/insurance) will take place at INNOVATHENS – Hub of Innovation and Entrepreneurship of Technopolis in the City of Athens in Gazi. The event will focus on the creation of innovative applications (Minimum Viable Products – MVP) in the wider insurance sector (#insurtech). Crowdhackathon#Insurance 2.0 is organized by Crowdpolicy technology and innovation company and Ethos Media, with the support of insuranceworld.gr, within the framework of the open innovation event Crowdhackathon.com. Crowdhackathon#insurance 2.0 is mainly addressed to young entrepreneurs, programmers, analysts, designers, professionals involved in the sectors of communication, marketing, customer services, business consulting, as well as executives from the wider insurance and financial sector, university and highschool students and any other person interested in taking part and actively contributing to the development of applications that promote innovative youth and social entrepreneurship and financial activities through the – crucial for a country’s economy – insurance sector. In the Crowdhackathon#insurance 2.0, the teams that will come in first, second and third place will receive cash prizes of 2,000 €, 1,500 € and 1,000 € respectively.